If you have read my post about New Zealand biosecurity checks, you will know that Mr B2 and I took a fair amount of outdoor and camping kit on our trip. 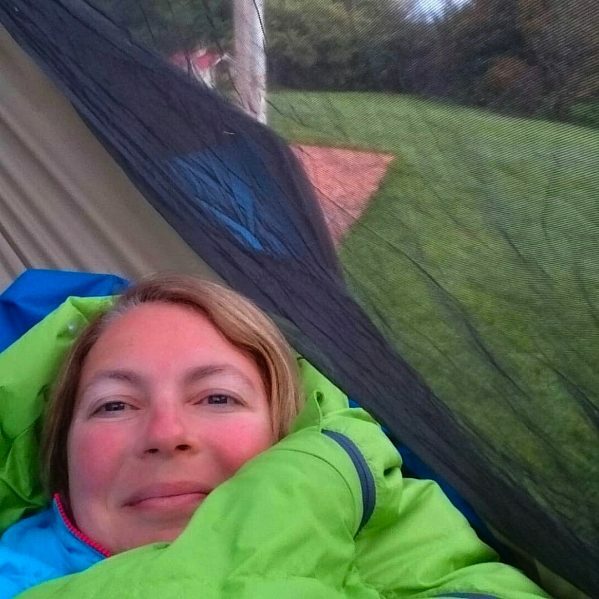 I am pleased to announce that we used all of it, bivvy bags, sleeping bags, sleeping mat, hammocks and tarp, but maybe not in the ways that we had intended to. I will tell you about our tarp adventures another day but today I am pleased to announce that hammocks don’t hang upside down in the southern hemisphere. We took two very different hammocks. 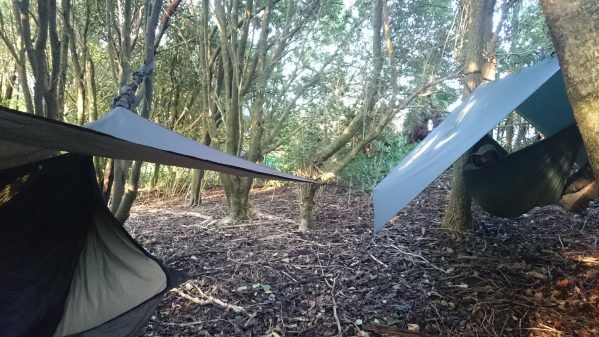 Mine was the Hennessy Jungle Explorer Zip Hammock (luxury in the trees) whilst Mr B2 opted for the ultra lightweight DD SuperLight Hammock. Our first attempt at rigging was excellent. The bottom of the farm garden (big garden) in amongst the trees, which were plentiful and a perfect distance apart. We didn’t stay the night however because, by the time we had finished hanging and pitching our tarps, we had both been bitten by NZ creatures keen for a bit of Pommie flesh and had gone off the idea. 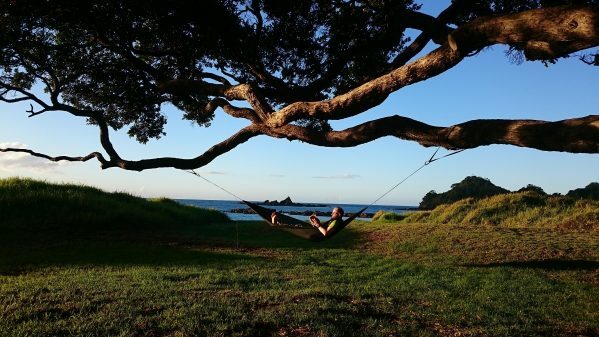 Our next few hammock hangs were of the ‘afternoon by the beach’ kind and occurred in some wonderful locations. We discovered that there are few more relaxing ways to spend an afternoon by the beach than swinging gently in the breeze with a good book and a New Zealand beer. 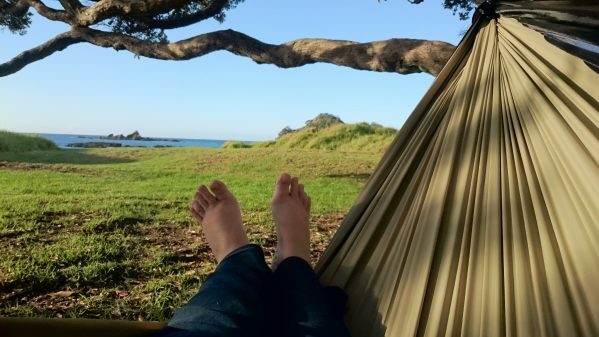 By the time we returned to the farm after our trip around Northland (the northernmost peninsula of North Island) we were starting to run out of time (and weather) in which to make sure we included a hammock night in our NZ adventures. So we opted for a palm tree hang next to the swimming pool. 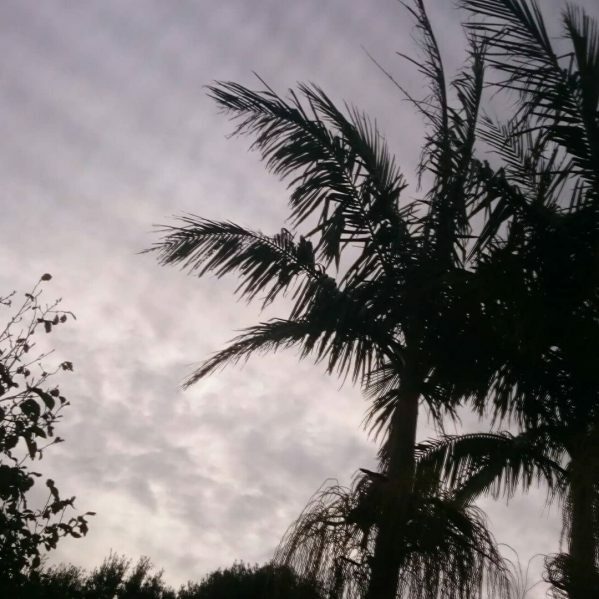 Palm trees, it turns out, bend disconcertingly in the wind but I was so comfortable and slept so well that, at 8 o’clock in the morning when Mr B2 came over to wake me up, he couldn’t… so he just set me swinging and went in for his breakfast.